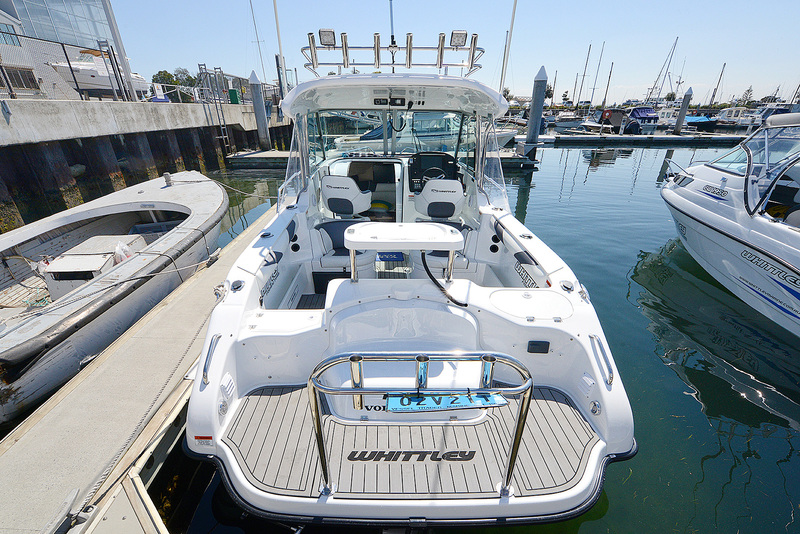 Whittley’s Hard Top 25-footer in the Sea Legend range totes a sterndrive, which is why the model is called the SL25HTSD. It has plenty of torque when you put the hammers down. 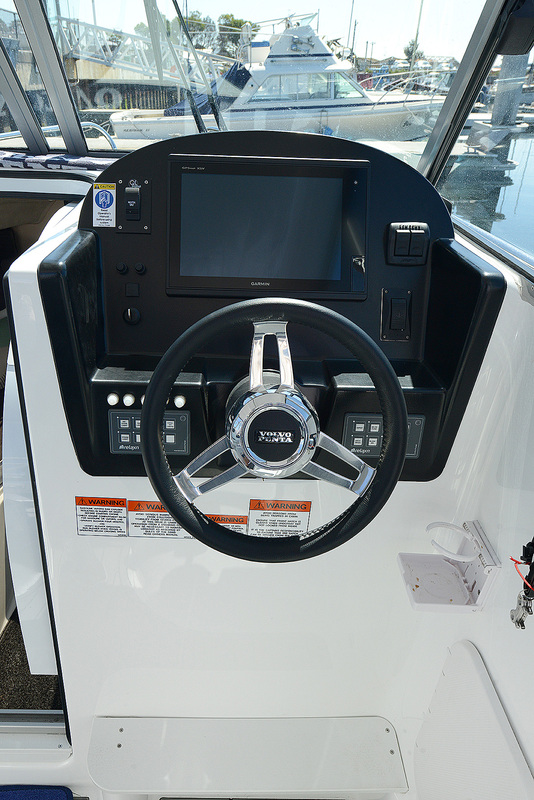 Every time I get into a boat that’s powered by a 240hp Volvo Duoprop, it brings a smile to my face. 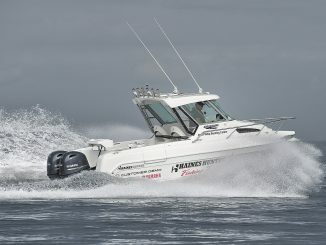 Plenty of power from the V6 block is readily translated to the water through the six blades of the counter-rotating propellers, and the result is super mid-range torque and a fun boat to drive. 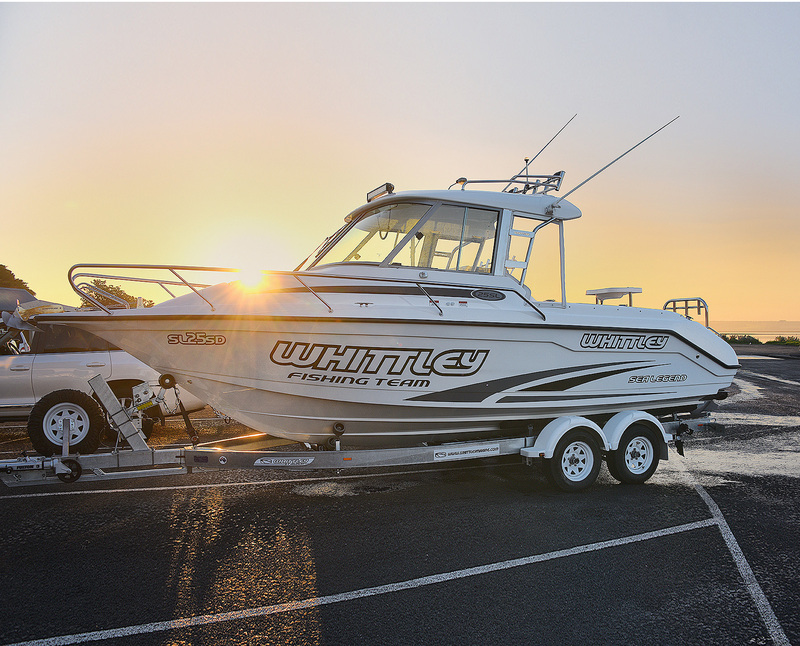 Most recently I test drove a Whittley SL25HT, so named because it’s in the Sea Legend range (SL) with a hard top (HT). While I was throwing it into turns and checking out the hole shot, I had to remind myself that it was a 25ft boat. 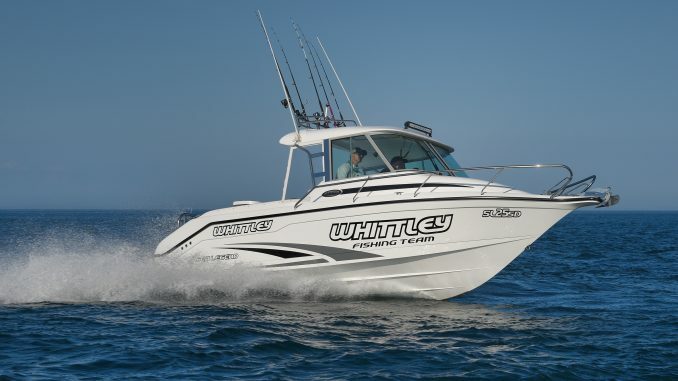 Whittleys are built in Melbourne, and we have tested plenty of them over the years, from their diminutive CW1650 through to the trailerable 28ft cruisers. 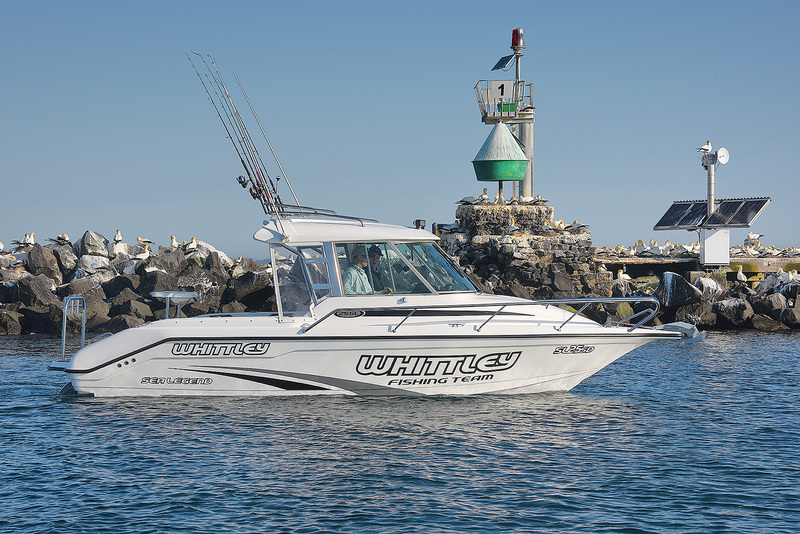 This rig sits at the upper end of the Whittley range, but in the middle of the SL sizes. 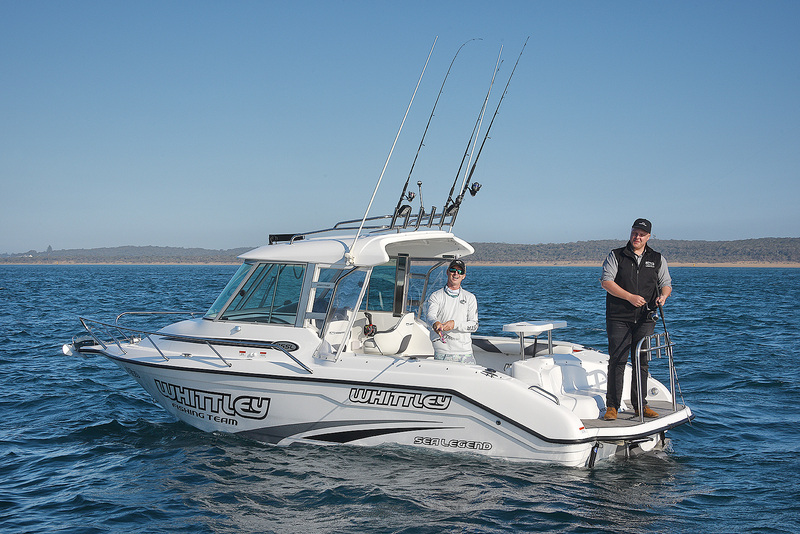 “There’s a 20 and 22SL under it, and a 26 and 28SL above it,” said Whittley Marine Director of Sales and Marketing Alan Whittley, “ but this 25 is a very popular rig for both anglers and families. Not that we could assess that on the test day at Queenscliff; it was the kind of glassed-out day where every hull rides as smooth as a hovercraft. What we could test, though, was performance. This rig jumps out of the hole and onto the plane, but what about the most economical speed? See the slide-out drawer under the seat base? That’s a fridge. A dozen livies will survive in here… until you send them to their doom. Underfloor wet storage for swimming gear or fish is incredibly practical. The grab bar that runs lengthways along the hard top is a neat and practical idea. Yep, that’s a TV up front near the access hatch. 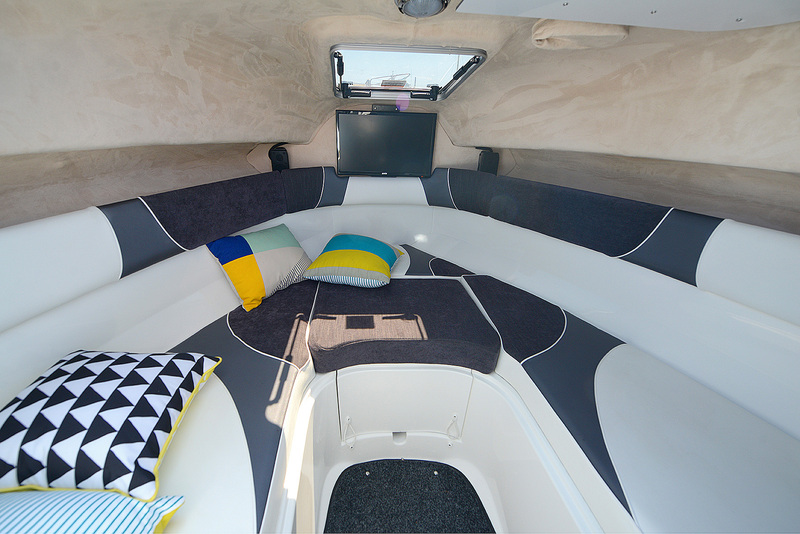 The SL25HT features a quite luxurious cabin that will keep the family happy. 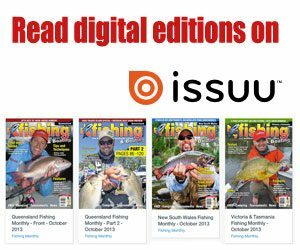 At Fishing Monthly we love a good flush-mounted sounder fit-out. The SL25’s dash holds a large display with ease. Big tick for the waterproof switch panels, too. The all-round visibility of the windscreens is impressive. 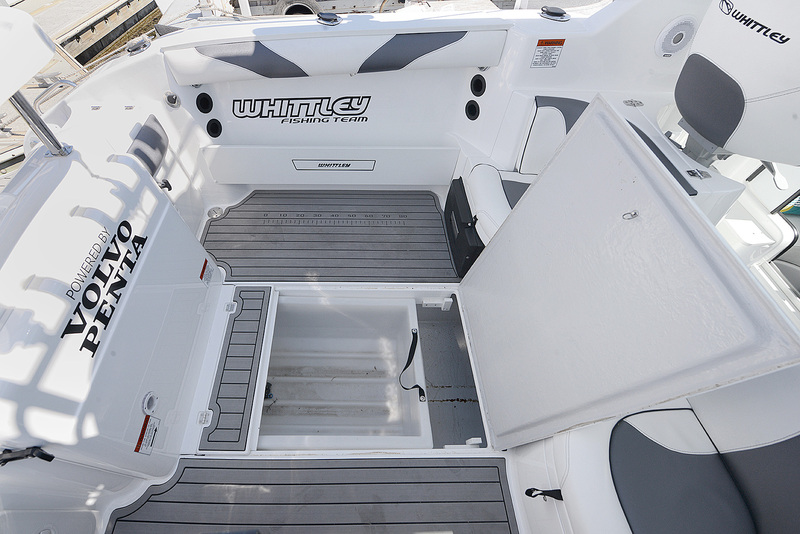 Advances in synthetic decking mean that now you can expect quality, durable, washable decking in a boat like this. Whittley do theirs well. 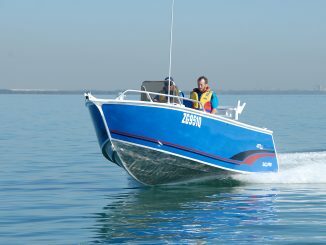 The stern duckboard is suitable for fishing, swimming or BBQing. 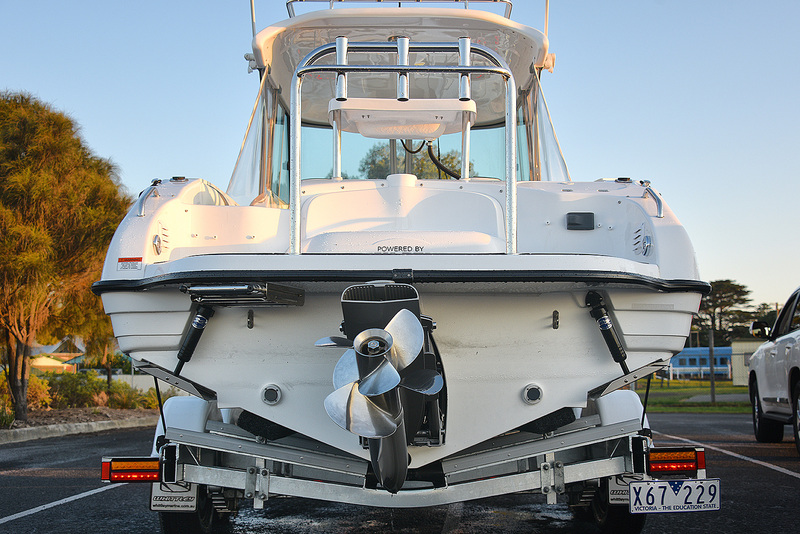 The 25 carries its 23° of transom deadrise well – probably due to the low centre of gravity afforded by the sterndrive installation. Combining stainless rocket launchers with deck lighting is neat. 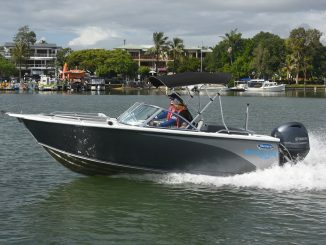 Supplied on a duel axle trailer, the SL25HT is not only impressive on the water, but great to tow as well. 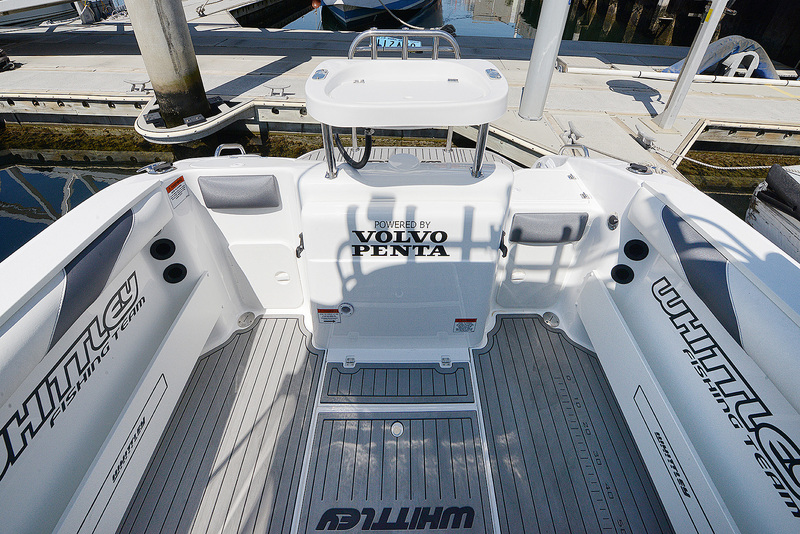 The SL25HT has been designed from the hull up to accommodate the hard top. Just dropping a heavy top that high can be problematic on some hulls. 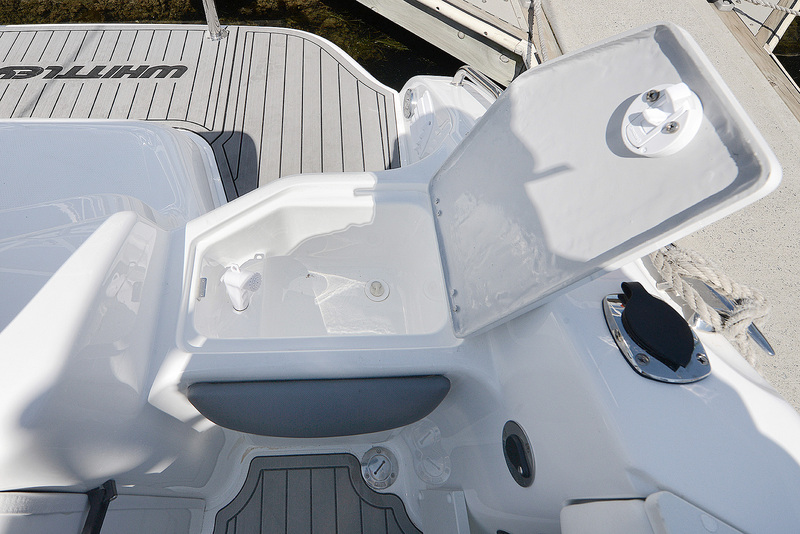 The rear duckboard is a spacious casting platform. There’s plenty of potential here to cover it in squid ink. As it happened, 3500rpm delivered 35km/h at 25L per hour, equating to 1.4km/L. Handy indeed for a 25 footer. Put the hammers down and you’ll reach 64km/h at 6450rpm, but your efficiency will plummet, yielding 900m per litre of fuel burned. 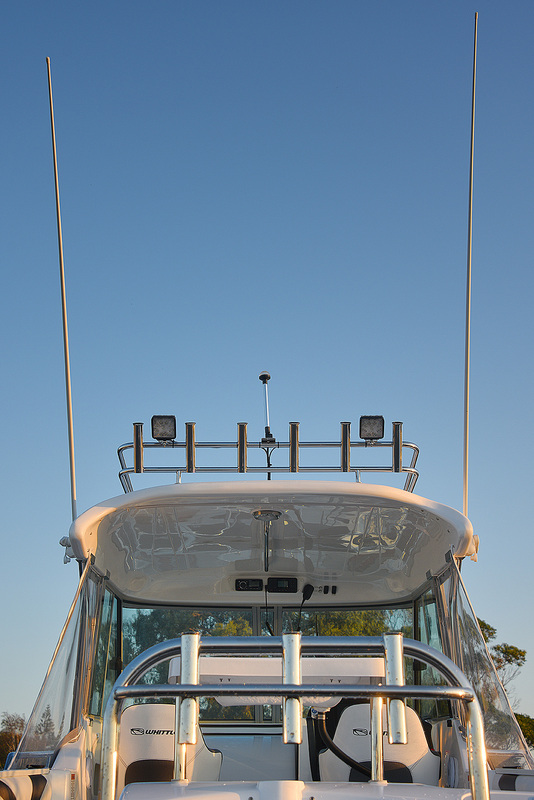 The hard top itself is very handy, with twin layered glass with magnificent visibility to nearly every quarter. 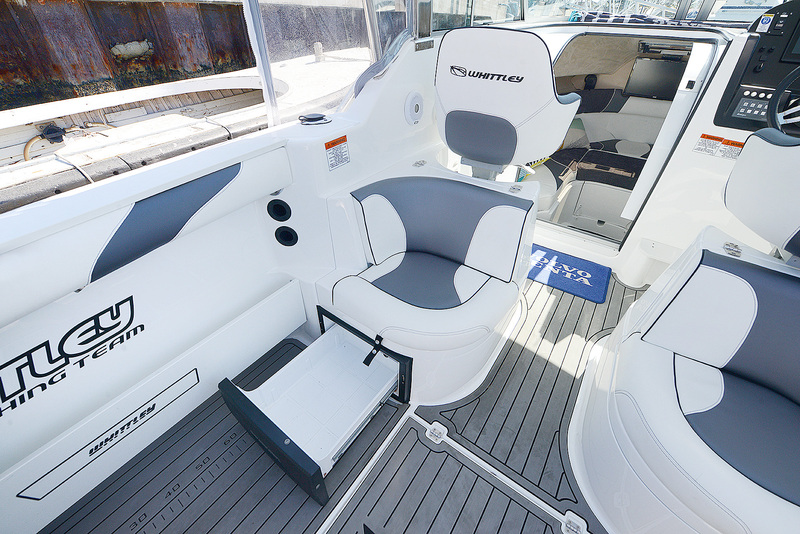 The air flow is good for more humid climates, with sliding side windows and a sliding, lockable cabin door in the bulkhead to help secure your gear while you’re docked or travelling. 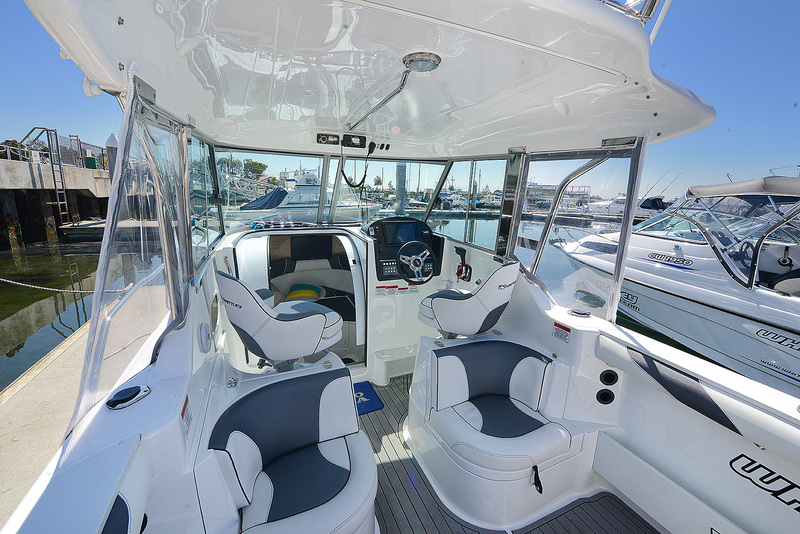 The routed SeaDek inside is virtually mandatory nowadays for a boat of this class, and Whittley does it well. The rig can’t escape its cruiser heritage either, with a sink and sliding fridge cleverly inbuilt. 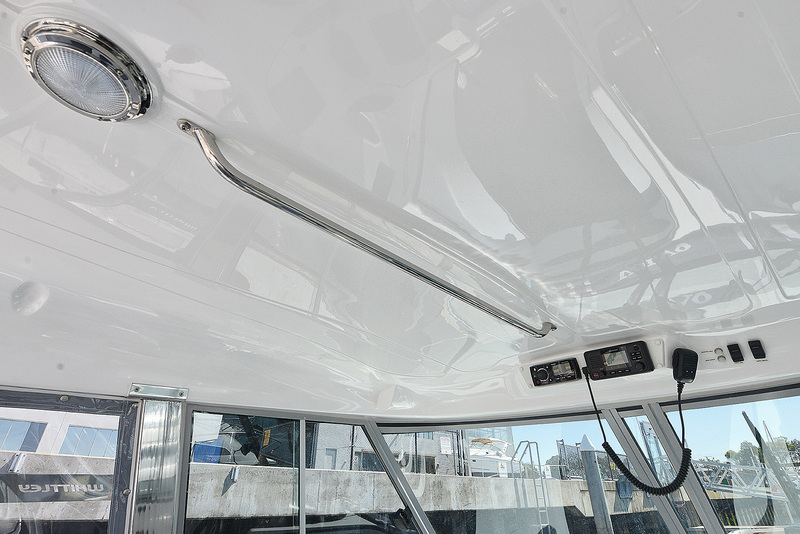 The transom duckboard adds family flexibility to the unit, with easy access for kids or other swimmers on either side. 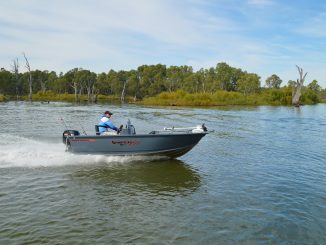 Indeed, if you’re looking for a versatile boat that’s half fishing and half cruiser, the SL25HT is well worth adding to the list. 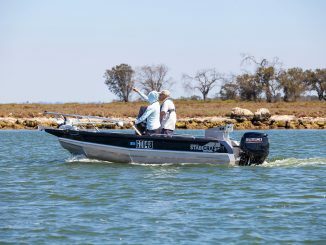 This model is priced from the mid-$130,000s, and the test boat with all of its options checked out at a tad under $160,000. 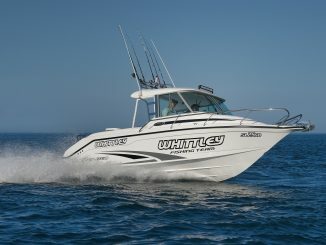 For more information visit www.whittleymarinegroup.com.au, or like Whittley on Facebook for their latest updates. You can also scan the QR code hereby to see this boat in action on the test day.